Win a Stay in the Cinderella Castle Suite at Walt Disney World! Just in case you missed our live stream from the Cinderella Castle Suite last week, here is the big announcement. 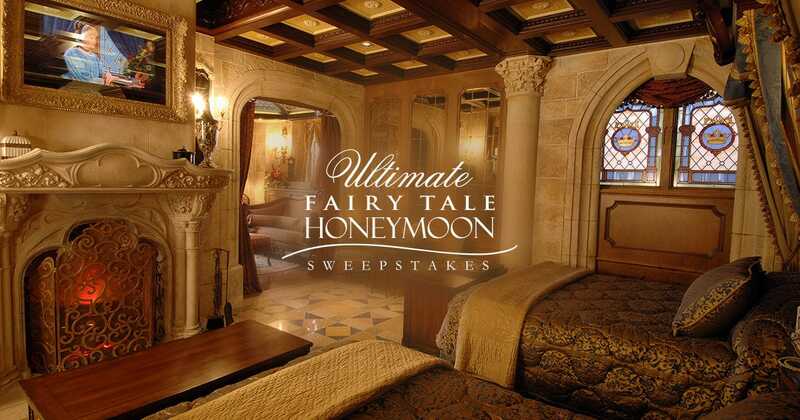 You could win an exclusive stay inside the castle as part of the Ultimate Fairy Tale Honeymoon! This is a once-in-a-lifetime prize for one lucky couple. In order to win you have to make sure to tune in to our new TV special on Freeform on Sunday, May 7th at 8/7c. During the show, a secret code word will appear on the screen. Enter the code word at Freeform.com/Sweeps. You will have until May 13th to enter the code! In addition to the night in the castle, the prize also includes airfare, four nights at a Walt Disney World Resort, two 5-day park hopper theme park tickets, and a $500 gift card. You won't want to miss your chance at this dream getaway, so mark your calendars, set a reminder, and get ready to watch and win! Best of luck everyone.